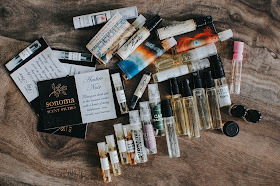 A dear, sweet reader requested a perfume collection post, and since my collection changes over the months and years I thought it would be nice to chronicle those changes. 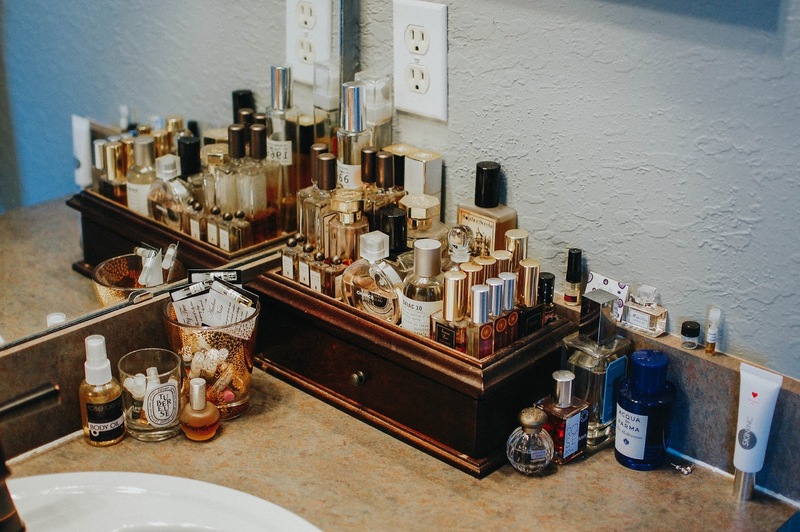 This is how my fragrance collection looks day to day. They all clump together in the corner of the bathroom counter on my side. Full bottles on top of a jewelry box with mid sized bottles in the drawer and samples in the empty candle glasses. I keep samples I am testing on my nightstand so there are a few stragglers languishing there. I am going to break this post down into groupings according to size and types. I will link in depth reviews of scents in their name if I have them. First up are full bottle sizes of various mainstream brands. These you can easily get at Sephora or other retailers. The Chanel No. 5 is a hand me down from my great Aunt Sue who passed last year. I really cannot wear this scent often but it is nice to have and sentimental. Chanel Coco Mademoiselle is a date night scent for me, as it is one that smells feminine and Adam likes that. Acqua di Parma Arancia di Capri is a new full bottle I purchased this year after draining a mini 5 ml and missing it. Chanel Chance Eau Tendre was a gift from a friend and I love it for summer. Diptyque L'Ombre dans L'Eau I picked up at a Japanese thrift store, the Hard Off, in Tokyo. A bitter green rose that I have to be in the mood for, but when I am it really sparkles. L'Artisan Caligna and Vanille Absolument (or Havana Vanille) were both Winter Season Sale purchases a couple years apart. Caligna is a light woody fig that I adore and Vanille Absolument is discontinued so I struggle to reach for it anymore, knowing I cannot replenish its evocative Cuban rum and vanilla vibe. Gosh darn I love it. 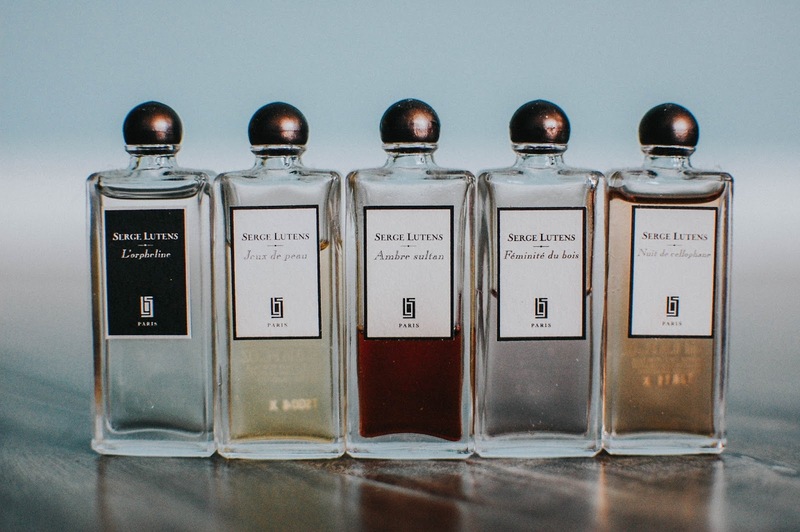 These full bottles are from smaller independent artisans with the exception of Le Labo. It is one of those grey areas of niche fragrance and this particular scent, Gaiac 10, is only for purchase in Tokyo, except for once or twice a year when Le Labo offers it online and other places for purchase. Dame Lime, Gardenia & Benzoin was one I bought off Olfactif after I fell head over heels for the sample. It is a sweltering summer staple. Tauerville Rose Flash I got from Olfactif as well, see how dangerous it can be?! No, just kidding, with their $18 discount they both were great deals. And the only full bottles I think I have splurged on so far, though Winter by Dasein won't be far behind. Solstice Scents Manor holds billing as a Top 3 Vanilla in my heart. I never tire of it. This will not be my last full bottle purchase from Solstice Scents either. I crave so many, but space requires me to be thrifty. CB I Hate Perfume, At the Beach 1966 smells just like vintage Coppertone and it is very unique, being a water based fragrance rather than alcohol or oil. You have to wear it to feel it. This was an eBay find. If you enjoy real life scents such as soil, burning leaves, apples, libraries or such, you should try CB I Hate Perfume. 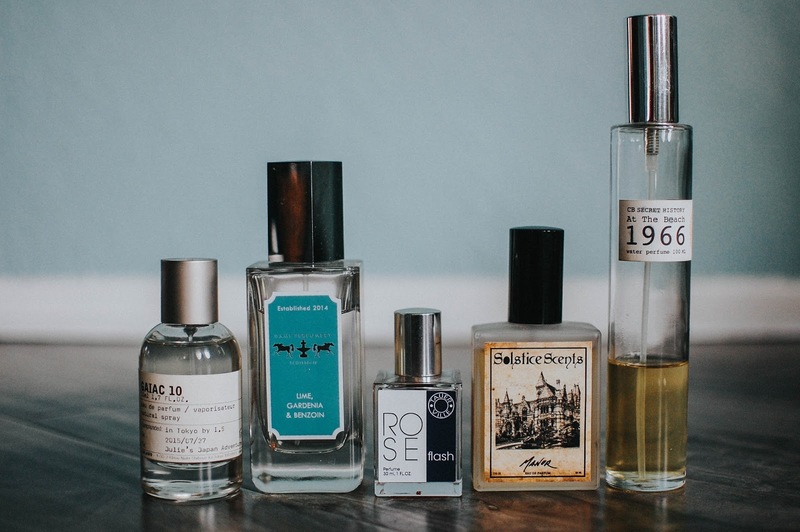 The nose behind the brand (Christopher Brosius) used to create at Demeter until he set out on his own to craft higher level scents. 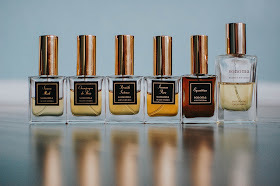 These are my current Serge Lutens miniature bottles: L'Orpheline, Jeux de Peau, Ambre Sultan, Feminite du Bois, and Nuit de Cellophane. 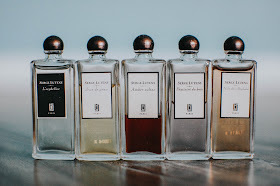 These are tiny 5 ml bottles that sometimes come free with purchase from the Serge Lutens' website. I try to time my purchases to coincide with when these are offered as they sell for about $25 each on eBay. They all smell incredible, but L'Orpheline is my favorite of these five with Jeux de Peau in close second. This is actually my second L'Orpheline mini as I drained my first one. 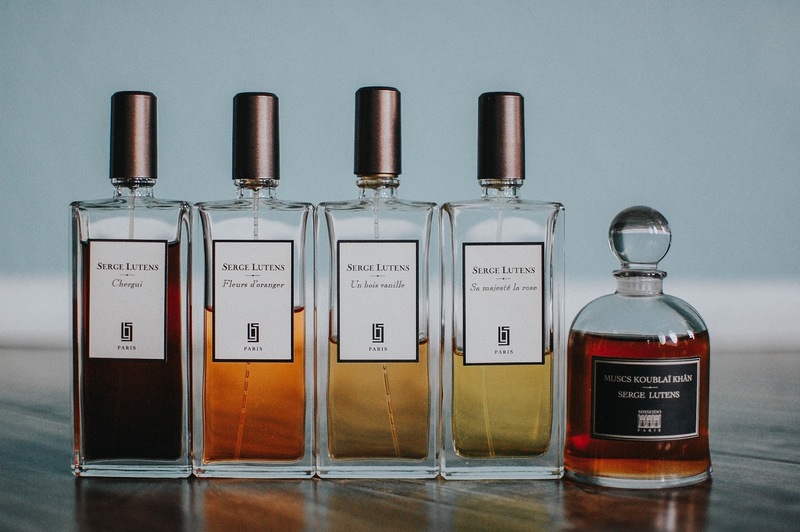 If Serge Lutens is my favorite niche house, then Sonoma Scent Studio is my number one artisan perfume house. The largest bottle I have is in Tabac Aurea and it is a stunner. I always get compliments when I wear this golden beauty. The rest are in: Sienna Musk (discontinued, sadly), Champagne du Bois, Fireside Intense, Incense Pure, and Equestrian. Laurie crafts the most exquisite aromas that speak to me of forests, sunshine, grassy meadows and pure comfort liquified. 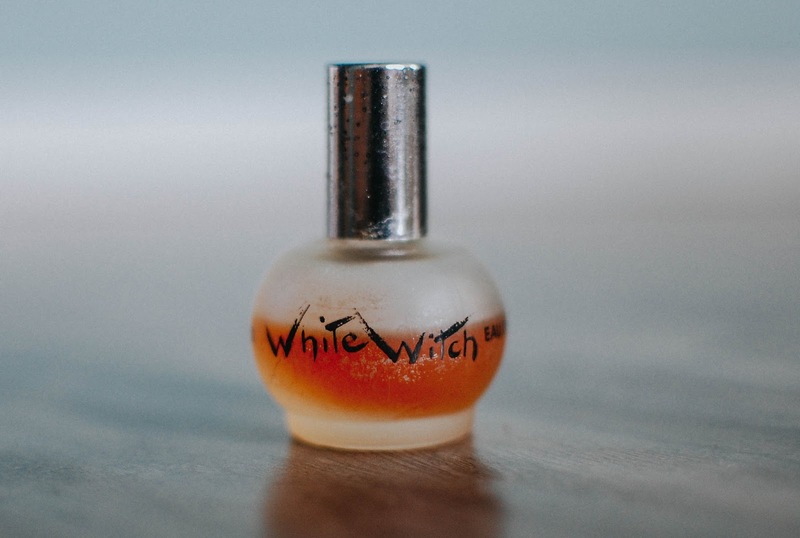 She works magic with amber, labdanum, sandalwood, tobacco, leather and violets. If I could manage it, I would own a full bottle of every creation she dreams up. 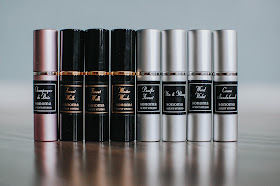 Her travel sprays are a bit easier for me to swing and anytime my sisters or mom or friends ask what I want for my birthday or Christmas, I send them a link to a Sonoma Scent Studio travel spray. At about $20 each, they make a satisfying and sentimental gift without breaking the bank. 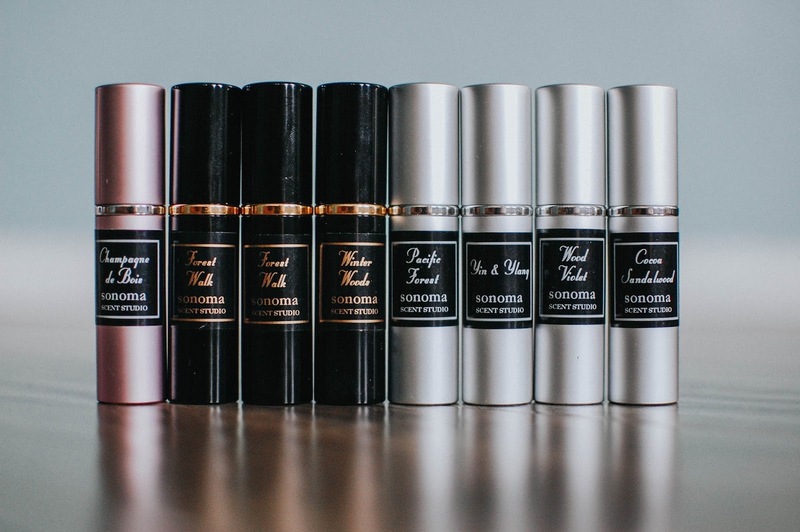 Currently I have travel sprays in: Champagne du Bois, Forest Walk (x2), Winter Woods, Pacific Forest, Yin & Ylang, Wood Violet, and Cocoa Sandalwood. These really are perfect for traveling and hold up well without leaks. I do miss the pink ones, though. Only black and silver are offered at the moment. Tocca Collette, one I will get in a full bottle once this one is drained. A lovely woody citrus with balsamic tones that catches the nose like a hook. A Japanese version of Lush Olive Branch but translated into Mediterranean Vacation, I believe. I have not worn it much as I got burned out on Olive Branch. Pooh. Hermes Eau de Merveilles, this was bought of Fragrance.net for cheap and I love it. I will probably get a full bottle from Sephora on a 3x Points fragrance promotion sometime this year. This is a breezy summer stroll on the beach in linen pants type of scent. Great for Florida humidity and heat while keeping its classy cool. Dior Poison miniature that I plucked from a thrift store shelf. Man oh man is this one a doozy. I love its plummy jam jasmine and tuberose gaudiness. If you see these laying about and think of me, you know where you can send it. I will pay you. I like the old dreck. 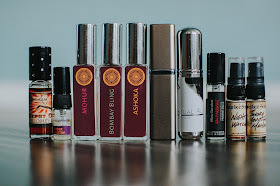 These are the smaller bottles of niche or artisan fragrance houses that I keep in the drawer portion of my storage. Esscentual Alchemy Patchouli Creme, I have Pro Fond as next on my list to buy from Amanda. Malle En Passant, I never got around to buying the coffret and of course it sold out so I must wait until the next one rolls around. I am determined to really dive into this house. Solstice Scents Night Watcher and Smoky Mountain Mallow, these were gifts from Jean as I had run through my other ones pretty fast. If I have them, I wear them. Hidden Lodge was one of my favorites and I plan on getting that one and Conjure in larger quantities eventually. Random fragrances I wear that are not traditional perfumes: Tauer Rose Delight Body Oil, Aftelier Ancient Resins Body Oil, and Aftelier Antique Watch Case Perfume Solid in Bergamoss. All three of these are beloved and a little goes a long way. Most of my samples. These fluctuate greatly depending on what is sent to me, how many Olfactif boxes I have on hand and if I have recently done giveaways. I like to share my fragrance samples and spread the aromatic love. I do try to hang onto those samples that I absolutely love so I can refer to them and remember that I want them. Those last few Love Potion Perfumerie need to be purchased in larger sizes and those few Olfactif ones, but I really try my best to use up bottles before I buy new ones. My special favorites in the sampler jar will never be used fully and will be kept for sentimental reasons... those are the testers that Laurie has given me of the various stages of Equestrian that I, and several others, helped give feedback for. I have never been so honored and I cherish them. I almost forgot this last gem. This mini of White Witch was gifted to me by Adam's grandmother. Genevieve told me she got this little perfume while on vacation in Jamaica decades ago and knew I was into vintage fragrances. It smells like an old school chypre to my nose. Thank you for sticking around to walk through my fragrance collection. 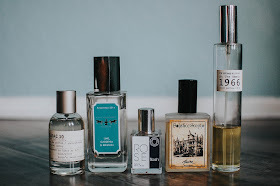 I have been working on a fragrance page to break down the difference between concentrations, niche and artisan houses and a listing of places I have bought from and enjoyed but I am not sure if that is something you guys would be interested in reading. I may just do a down and dirty one rather than too in depth since there are plenty of blogs and sites that explain perfume 101. But just let me know. What does your collection look like? 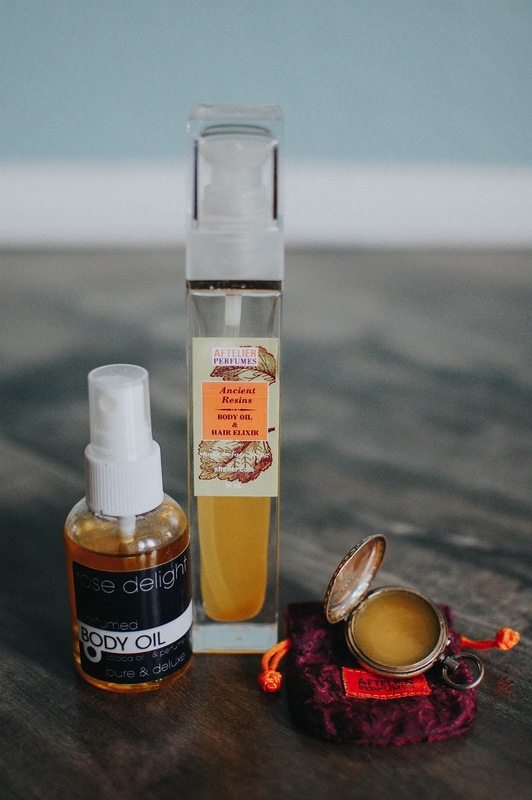 Do you prefer perfume oils or body splashes? Are you into mainstream or artisan brands? Do you prefer indie vendors for your fragrance needs? Bergamoss, Solstice Scents EDP samples, this was a nice trip down memory lane. Soon I will order SSS Amber Incense, I have a tiny bit left and was looking at her website yesterday. It was! 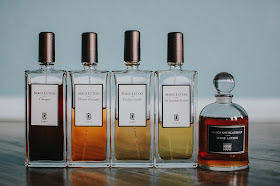 I was trying to link them all this morning with the reviews (I am sure I missed a few) and it was fun to see the different series and photos and feelings that accompanied each scent. If i never win anything again in my life I will be happy. Winning Bergamoss was the bee's knees. Amber Incense is really nice. I have a sample of it left and I sniff it every now and again. I am looking forward to her new release. I will be getting some of that for sure. 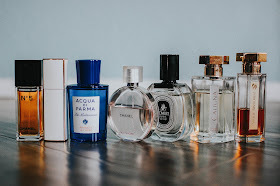 ~~SWOON~~ So many of my favorite scents and brands, and so many I would love to sniff! I lean a little more L'Artisan than Serge Lutens, but Un Bois Vanille and Chergui are two of my faves from him. My fave big brand houses are (of course) Chanel and Dior. Coromandel and Bois des Iles have been staples this winter. I need to check out Solstice Scents, too! L'Artisan is definitely more polished and airy than old Serge. I can appreciate that! Especially in the FL heat. Coromandel and Bois des Iles I need to sample. I have not placed a Surrender to Chance sample order in ages. Maybe time to get back on that horse. Thank you for telling me about them! Angela really is making magic over at Solstice Scents. Her gourmand scents are very yummy and her woods and vanillas are stellar. Conjure is high on my wish list but since she mentioned discontinuing Witch's Cottage, I went ahead and sprung for that. Do you wear much gourmand? Hoping 2017 has been treating you well. I'm am doing very well, 2017 has started with a bang! <3 I fell off the Dresden train as well a while back. Have been reading a similar series set in the UK by Ben Aaronovitch about a London cop who is also a wizard in training... very funny! Oh, and Lea Extreme: vanilla and almond with a hint of dry cocoa! Good!!! I was hoping that would be the case. :-) Ooooo... a London wizard cop?! Sign me up. Where do you find these hidden gems?? I am writing that book down as well as these fragrance recs. Lea Extreme sounds like a gourmand from heaven. I wonder if I could score Shalimar Light at a TJ Maxx or Marshall's? Sometimes they carry some real treasures. But it is so hit or miss. You are so kind, Nancy! Thank you. There are still so many houses I would love to try and full bottles on my wish list but I try to keep it reasonable. Good thing I live in a smallish house with very little storage and on a teacher's budget. LOL! 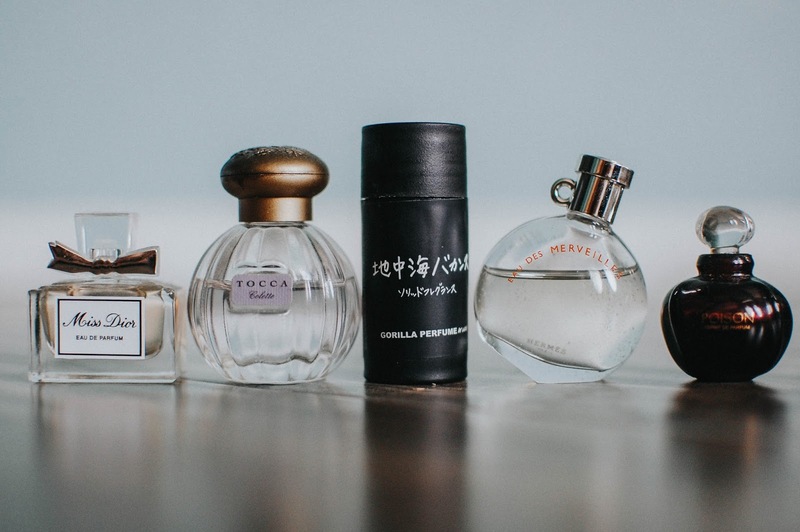 Do you have a fragrance you love? If there are any you would like to try just let me know! Woah, that's an incredible collection. When I was a kid I received a number of atomizers as gifts (so pretty, so colourful, and with a fun little bulb to squish!) but I was never much for perfume. 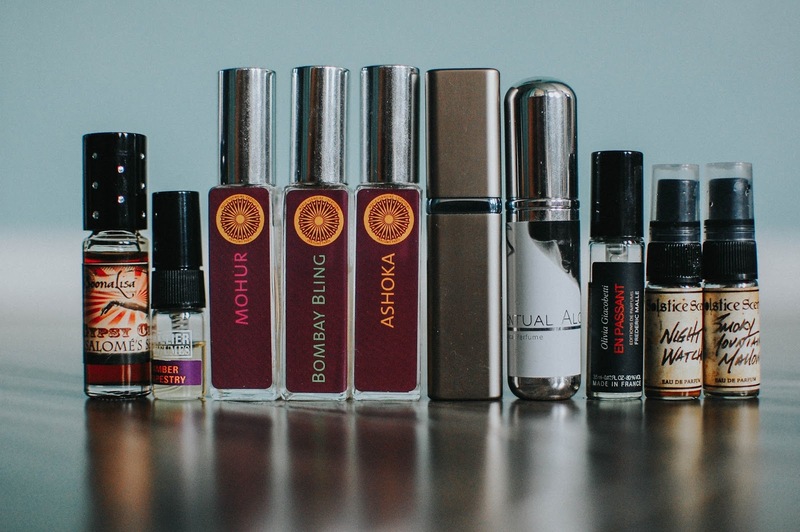 I'm super monogamous when it comes to my perfumes - I've probably only worn 10 over my entire lifetime! This is incredible, though. 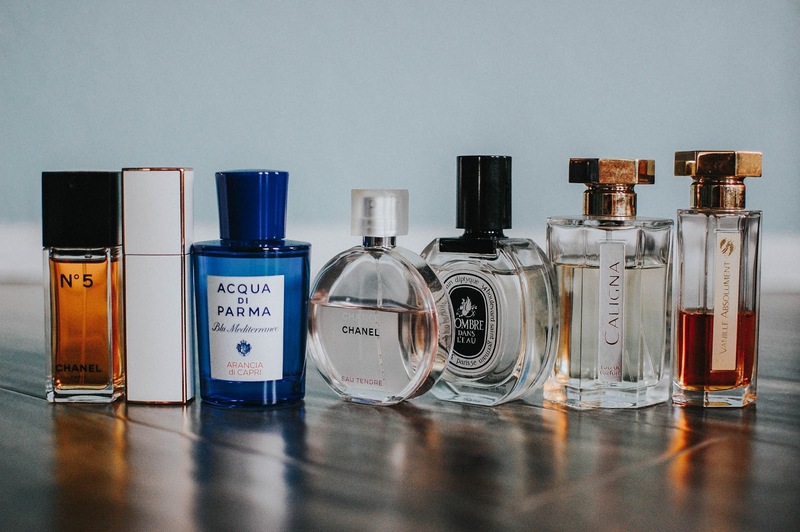 How on earth do you chose what you'd like to smell like every day?